Gtx 960 will work better with your programs.. Gtx 680 is strong in gaming nut gtx 960 has new technology and faster cores. Despite the terrible slaughtering of the English language, this “solution” makes absolutely no god-damn sense and is worthless. As for the reasons why, they will be explained below. For a short period I happened to be in ownership of both cards. So, I decided to take a legitimate and accurate look at the performance of the two cards. This means more parallel processing for the 680, plain as day. This may or may not matter in fact, but technically a potential win for the 960. The case where this does play a role is, if the software you happened to be using, leverages the extensions available in OGL 4.3 or 4.4, if not, this characteristic offers little, if any, benefit. Its completely meaningless if your software uses DirectX instead. Both cards support DirectX 12 but again this will only matter if you are using Windows 10. Windows 10 is the only OS that supports DirectX 12. 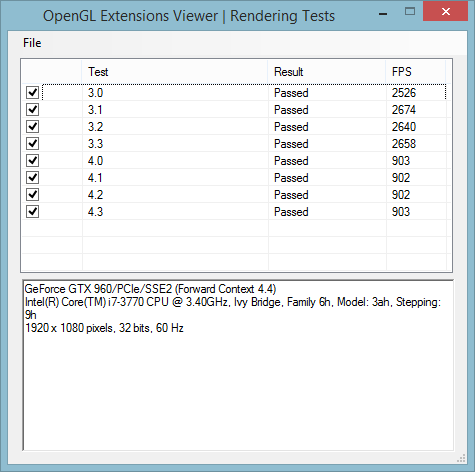 The 680 takes the win in this category and I think this is what contributes to the following results I found using OpenGL Viewer. 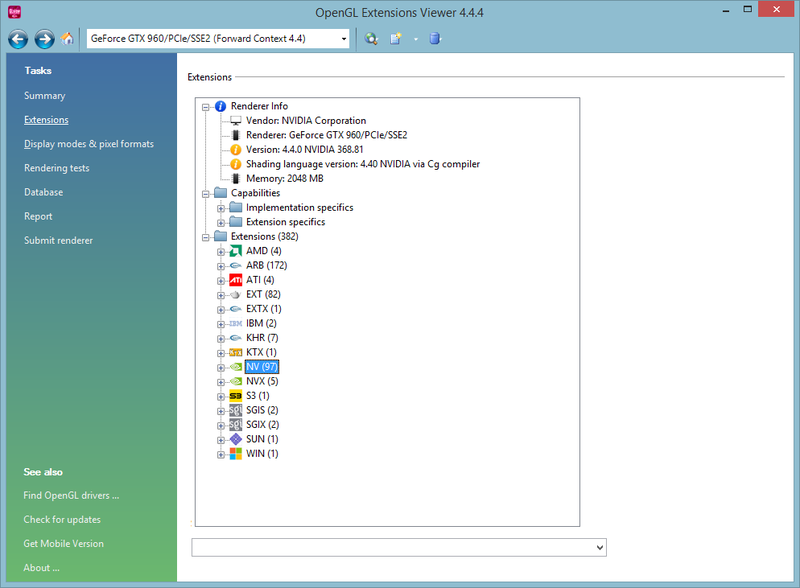 I downloaded OpenGL Viewer 4.4 and ran it using the two cards with the latest drivers. The 680 was pushing to 1920×1200 while the 960 was pushing to 1920×1080. 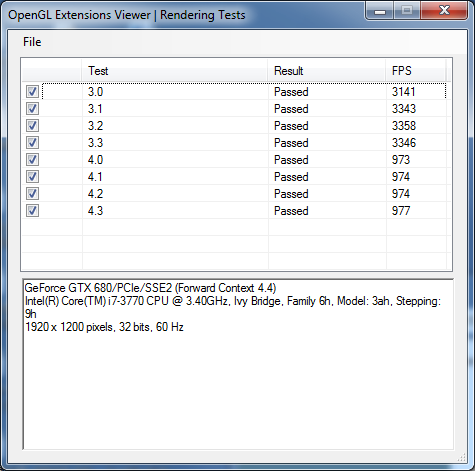 Nevertheless, the FPS test by OpenGL Viewer shows that the 680 is faster, fairly plain and simple. Which largely makes sense, it has more cores, by around 500 more, and it’s memory has a greater throughput. We can also investigate the extensions available, which is the result of the difference in OGL versions, 4.2 vs. 4.4 but we need to be hesitant here and not draw too many conclusions. 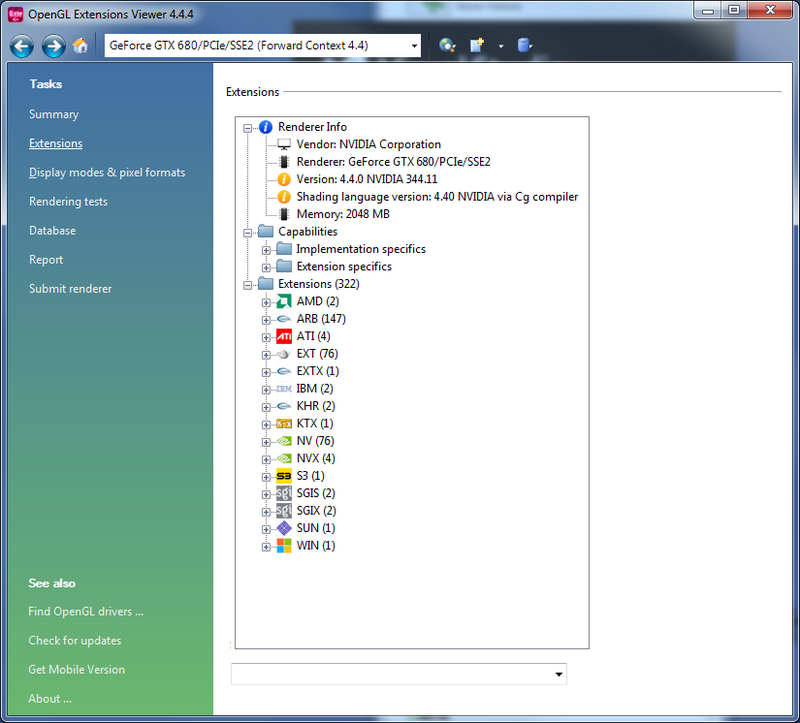 The number of extensions, 382 for the 960 for example, shows the complete set of extensions, however, not all those extensions are supported by the hardware. After digging in some, overall, I think it is safe to assume that more extensions are in fact supported in the 4.4 / 960 card, but it does contain some unsupported extensions. 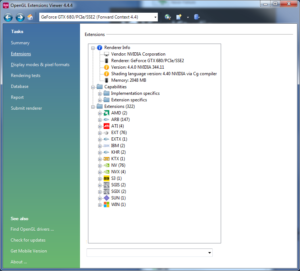 The 382 depicts all extensions in the OGL version, not all supported extensions. Interestingly there is a large performance hit when moving from OGL 3.3 to 4.0 and I am certain there must be some good reason for this. If anyone knows why, or what changed, I’d love to hear your input. To address one last question, which I know will inevitably come my way, both cards had 2 GB of memory. At the end of the day, the 680 is a badass piece of hardware and I’m impressed with how well it has held up, considering its three year old hardware. As for recommendations, if you have 680, I would keep running with it. The 960 is not an upgrade. If you’re buying a new card, upgrading from something like the GeForce 9000 series, with their now meager 100 cores, I’d take a 960, as it has a nice price point and it does support the newer versions of OGL, which will likely be used more often with newer software. Furthermore, I doubt the 680 has a 4Gb version, while the 960 does, which could matter if you are looking for something that will last for the next half dozen years. For gaming, the difference between these two cards in all relevant cases will be completely negligible.